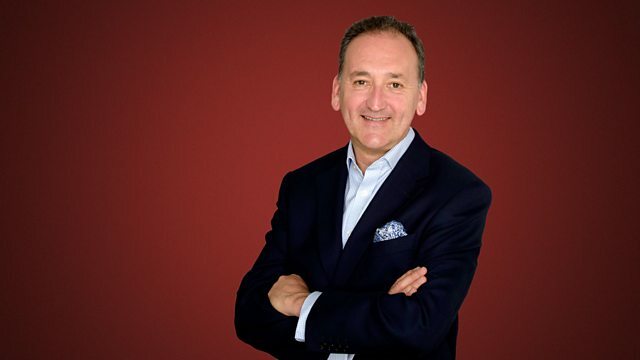 Refresh your morning with a great selection of classical music, presented by Ian Skelly. Ian's guest is historian Dan Snow. 0930 Your ideas for companion pieces on the Essential Classics playlist. This morning, an exotic Arabian adventure from Rimsky-Korsakov's Sheherazade - The Tale of the Kalandar Prince. Other musical highlights this morning include the Christmas Eve-set Act 2 of Puccini's La Boheme, and Mozart's ballet music for Idomeneo. 1010 Our Classical Century - 100 pieces celebrating 100 key moments in classical music in the last century. bbc.co.uk/ourclassicalcentury. Kate Molleson on the composer/conductor Nadia Boulanger. 1050 The historian, writer and presenter Dan Snow talks about the books, music, art and places that inspire him. Today's influence is the film The Last of the Mohicans. Kodaly: Hary Janos Suite - Dances of Galanta...: BFO, Fischer. Music Arranger: Keith Roberts. Ensemble: The King's Men, Cambridge. Singer: Tim Mead. Choir: Choeur du Concert d'Astrée. Orchestra: Orchestre du Concert d'Astrée. Director: Emmanuelle Haïm. iano Music of John Adams and Terry Riley: Gloria Cheng-Cochran. Performer: Rachel Podger. Performer: Alison McGillivray. Performer: Daniele Caminiti. Performer: Marcin Świątkiewicz. Ensemble: Brecon Baroque. Conductor: John Rutter. Orchestra: City of London Sinfonia. Choir: The Cambridge Singers. Orchestra: City of Prague Philharmonic Orchestra. Conductor: Kenneth Alwyn. Singer: Anna Netrebko. Singer: Rolando Villazón. Singer: Nicole Cabell. Singer: Mariusz Kwiecien. Singer: Boaz Daniel. Choir: Chor des Bayerischen Rundfunks. Choir: Gartnerplatz State Theatre Children's Choir. Conductor: Bertrand de Billy. Franz Liszt - Angelus: Sacred Piano Music (Irene Russo). Mozart: Symphonies 41 & 40 - Marc Minkowski.